At $2000 there are a variety of entry level high end speakers that are acceptable. A quick tour of the last California Audio Show demonstrates this point. 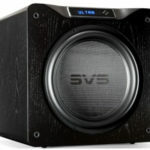 Though every speaker at that price presents some compromise, this may not be a bad thing. In fact, I’d argue it is easier to select preferred characteristics from an imperfect speaker than from an ultra-high end model. But before I digress, we should talk about the Trinity loudspeaker from Angel City Audio. 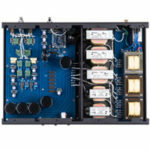 Hugh Nguyen, owner of Angel City Audio (http://www.angelcityaudio.com) and U.S. importer of Melody amplifiers has created a speaker that excels at mid-range openness, and which has a high end that sparkles without fatiguing the listener. The Trinity is a ¾ sized loudspeaker, with dual 6.5-inch woofers and a 1-inch ring radiator tweeter that is slightly off center, and a rear port and two five-way binding posts on the posterior face. The speakers are too large to be considered standard bookshelf models and too short to sit directly on the floor. And due to their unusual depth, it may be difficult to place the Trinitys on a typical speaker stand. Thankfully Hugh offers a solution; a stand with a large seat and base plate which places the tweeter at ear level for most couches or listening chairs. The Trinitys, though not specifically designed for a large listening area, probably perform best in this venue. In fact, in my smaller multi-purpose listening room I had issues with the bass from the rear ports. Unfortunately this resulted from poor synergy between speakers, amplifier and my room. 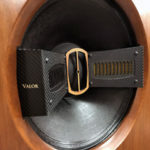 It didn’t help that I was using a rather rich and pear like amplifier, a choice based on two previous auditions of the Trinity loudspeakers, one at CES 2011 and the other at CAS 2011. But even with the best planning I experienced a disconnected and bloated bass. 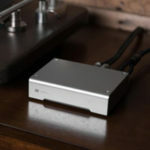 After consulting with Hugh, he loaned me the Melody AN211, a 16-watt class A amplifier, with a linear sound, purposeful bass, detailed and liquid sound, and with a much tighter control of the low end. My listening room is without bass traps, thus I need an amplifier with precise control of the low end. Another possible pairing with the Trinitys would have been the Melody MK88 amplifier, which utilizes a KT88 tube set. This amplifier offers a precise, detailed but some what shy low end with an exhilarating mid-range and highs. The remaining components of the system included a selection of WyWires speaker cables, interconnect cables and a fantastic digital cable. The digital source was an Electrocompaniet PC-1 CD player and the Audio Note DAC One Sig. Speakers were placed about a foot and a half from the front wall and approximately seven feet apart. The tweeter was at ear level and I sat roughly seven feet away. With a slight toe in of the speakers, closer to flat than 45 degrees, I was able to achieve a coherent and open soundstage, with a solid center and good extensions to both the right and the left sides. So why would you be interested in the Trinity speakers? Above all, they have two key characteristics: First, they reproduce the textures and tones of recordings better than any speaker I have heard in this price range, and second, they offer an open and natural midrange. The Trinity speakers can mimic the raspy yet wet voice of Tom Waits, or the hollow and nasally voice of Bob Dylan, yet can reproduce the liquid and lush voice of Jeff Buckley. Female signers are offered the same transparent treatment. The Trinity’s offer exceptional transparency for their price. And this is all because of the open and detailed mid-range. While at CAS 2011 I was stunned when the Trinitys reproduced that hollow, steam whistle sound that a violin can create. I had never heard it reproduced so well on speakers of just about any price. Typically something goes wrong when speakers try to reproduce this sound. It can be thin or empty, metallic or plain irritating to hear. But this was dang near dead on to what I’ve heard many times at Davies Symphony Hall in San Francisco. When reproducing vocals, piano, guitar and strings, the Trinitys performed wonderfully. They process tonal richness in the mid-range, without being overly warm or slow. But they didn’t reproduce the brassiness of Mile’s trumpet on Tribute to Jack Johnson (CD), or the harshness of cymbals from Broken Social Sense’s You Forgot It In The People (CD) equally as well. While not perfect reproductions of these harsher sounds, they weren’t fatiguing or irritating, and at $2000 I’d rather just enjoy the music. The Trinitys offered emotionally engaging macro and micro dynamics, though micro dynamic performance was slightly better at higher volumes. When playing large classical pieces the speakers never showed signs of compression or distortion. Their liveliness never suffered no matter how complex the music became. As well their staging remained intact and never collapsed or suffered. Even with the 16-Watt AN211 amplifier the Trinitys performed exceptionally well, though with more power one should have even better dynamics and performance at all levels of volume. For some listeners the Trinity’s bass performance might be of some concern. The Trinitys do offer a detailed bass that goes down to 40Hz, but they seem to lack the punch from the top end of kick drums. The driving beat of rock and techno or the crack thunder of floor drums just doesn’t materialize. Overall I think the Trinity offers exceptional openness and a transparent mid-range that should be attractive to anyone who prefers to hear the textures and tones of a recording. With the new light wood veneer color option and stylish stand the Trinitys should look great in any home. There is also a shallower version used as center channel for home theater applications. If, from what I’ve written, the Trinitys peak your interest I suggest you give them a listen. 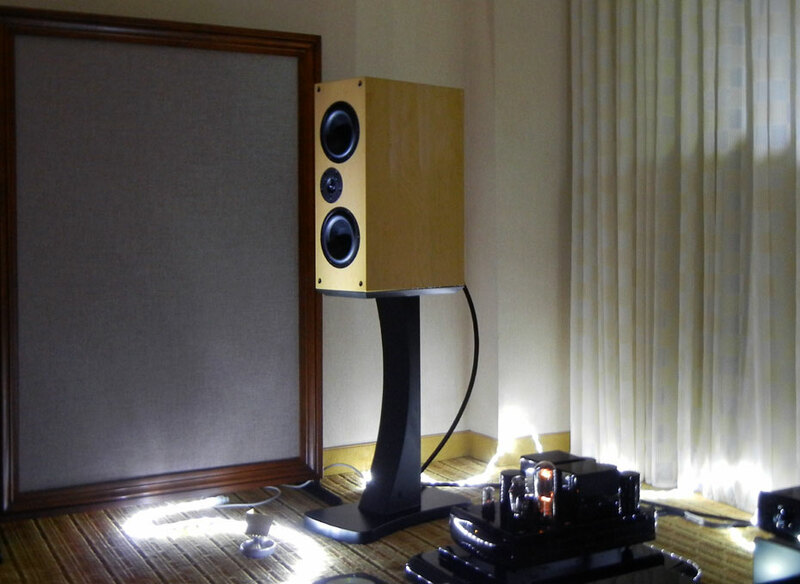 At CAS 2011 I heard several other reviewers and the general audience say they were very pleased with the sound from the Angel City Audio room, and the Trinity speakers might have won best looking in show, if there was an award for it. Per Hugh of Angel City Audio, the introductory pricing as shown is only good until the end of 2011 and/or availability of stocks. Refer to Angel City Audio website for 2012 pricing.